Matthew McConaughey is 'Moondog', an eccentric bum living on the beach. 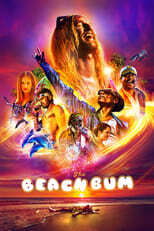 The Beach Bum is directed by Harmony Korine and was released on TBA. Director Harmony Korine's Comedy movie The Beach Bum is produced by Anonymous Content & Iconoclast & was released 2019-03-21.